Increase Sales: Make Your Signage Fun and Interactive! There’s no doubt about it: having golf signage with your business’ name/logo advertised is bound to catch some eyes and help boost business. And now there’s a way to add to all of that… digitally! Not sure what a QR code is? Then you might want to read this blog post on our sister company’s (Odds On Promotions) blog first before reading on! 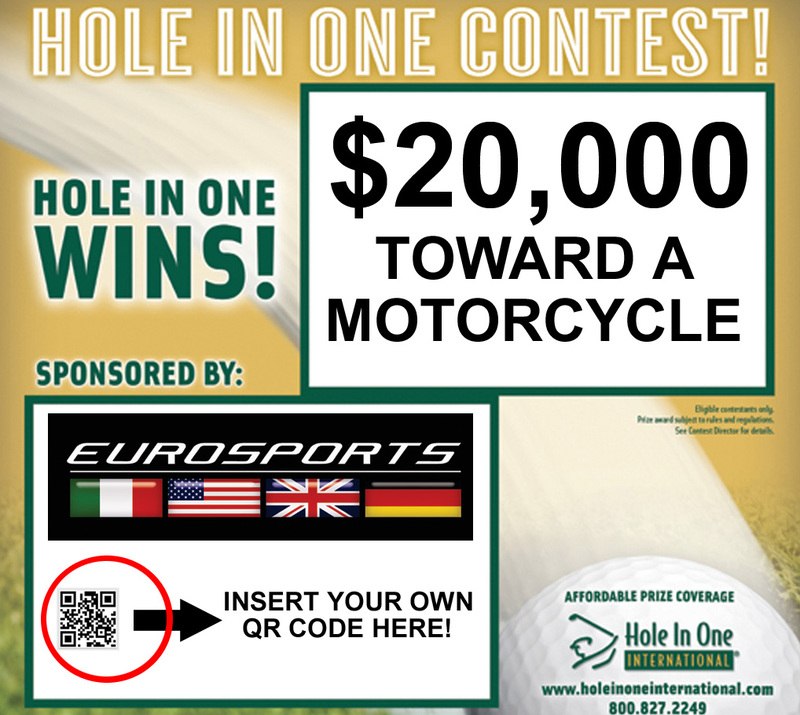 Whenever you opt for Hole In One International’s free signage or purchase sponsor signs for your event ($25/each or 18 for $360), you have the option to send Hole In One International any artwork you’d like to be used on the sign(s). Email us your generated QR code and we’ll apply it to your sign… for no additional cost! It’s that easy! Want to see it in action? Simply click the image on this post to see a great example of QR usage on signage! Then give us a call if you like what you see – 800-827-2449. Home » Blog » Increase Sales: Make Your Signage Fun and Interactive!